Google has officially released the next version of its flagship mobile operating system, with Android 8.0 Oreo to replace the current Android 7.0 Nougat and bring with it a range of improvements. Previously languishing under the codename Android O in beta form, Android 8.0 now has its official dessert-themed codename: Oreo. Compared with Android 7.0 Nougat - a version which many smartphone owners have still to try, with the majority of devices still running Android 6.0 Marshmallow or older - Android 8.0 Nougat is claimed to bring a range of improvements from battery-life boosting to a picture-in-picture multi-tasking mode. The battery life boost comes courtesy of an improved Doze mode, which tightens the limits surrounding what developers can make their applications do in the background. Originally demonstrated as part of the Android O Developer Preview earlier this year, the background app limits were described at the time as 'a significant change in Android' that developers needed to keep in mind - suggesting that they could have an equally significant impact on idle battery life. Android 8.0 Oreo also includes a new form of multi-tasking functionality, allowing video-playing apps - including chat applications - to display a feed over the top of other applications in what Google is calling a picture-in-picture mode. 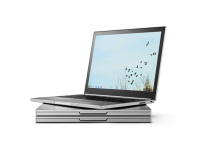 Thus far, Google has only demonstrated the functionality specifically with video software and there is no word on whether picture-in-picture will be available to developers of other applications. Other changes aim to improve the quality of both audio and video: Android 8.0 Oreo adds official support for Sony's LDAC codec which claims to shove three times the data over a Bluetooth stream than rival codecs, and also includes the option for developers to load and display images with wider colour profiles on higher-end displays. More minor modifications to the operating system include new autofill application programming interfaces (APIs) for password manager and translation applications and improved control over notifications. 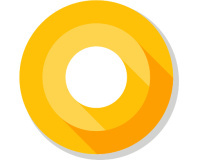 Google has released Android 8.0 Oreo to the Android Open Source Project now, while its latest own-brand Nexus and Pixel devices should be receiving over-the-air updates in the coming weeks. When it will arrive on third-party devices, though, is still up in the air.